Dr. Lana Collavo, JISD Superintendent (left), presented awards to two outstanding teenagers at the Jourdanton Chamber banquet last week. 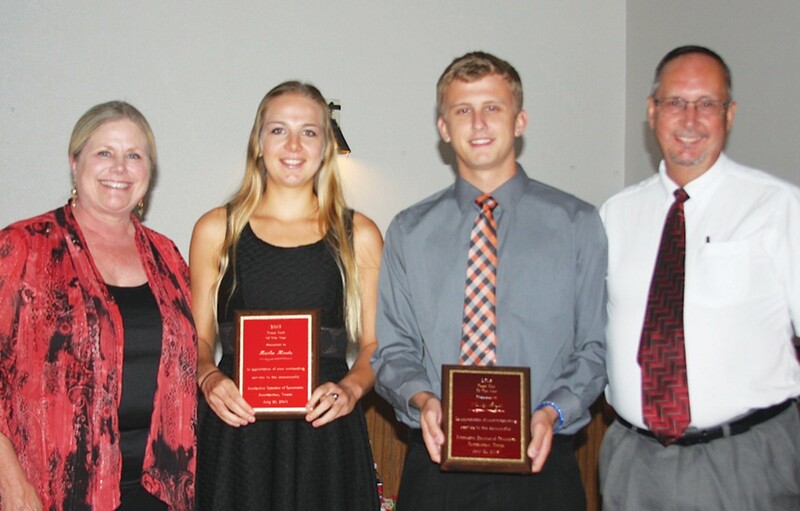 Kaitlin Hindes received the Girl Teenager of the Year and Wesley Pesek was named Boy Teenager of the Year. 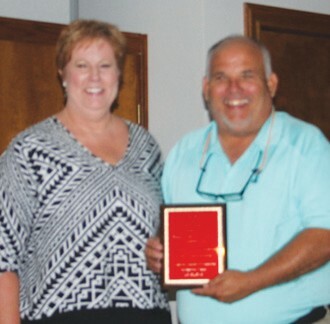 Jourdanton High School principal, Keith Chapman, was named Educator of the Year. The backyard barbeque theme, complete with red checkered tablecloths, set the tone for the Jourdanton Chamber of Commerce Awards banquet held last Tuesday, July 21. A social hour, sponsored by VTX1, was enjoyed by those in attendance. Eleven deserving citizens were honored that night. Their nomination information follows. Jane Steinle Andrus was raised in Jourdanton and graduated from Jourdanton High School in 1968. She attended and graduated from UT Austin in 1972. Jane is married to Jim Andrus and has two sons and six grandchildren. For many years, Jane has taught CCD at St. Matthew’s Catholic Church. She is a Eucharistic Minister at St. Matthew’s. Jane is very involved with the church picnic and the fajita booth at Strawberry Festival. Jane served on the Jourdanton School Board for eight years until December 2014. She is a member of the Friends of the Library and helps with the Annual Salad Luncheon and Silent Auction every year. She has been a director of the Jourdanton Chamber of Commerce for 20 plus years, working with the annual barbeque and auction every year. She organizes the lighting of the island in front of the Courthouse for Christmas annually and works with the Santa Claus program. Jane is always ready and willing to lend a helping hand with projects. Jane loves to exercise and she regularly attends classes at “The Gym”, swim, walks, hikes rides bikes, snow skis, travels, helps at the ranch and sits in her hot tub! Doc Williams is currently serving on the Jourdanton City Council and is an active committee member of the Sports Compex. He spent many years as an athletic trainer and is now enjoying retirement. He is the treasurer for the KJT. He works on the annual bake sale. He is in charge of the pits at the St. Matthew’s Church Picnic, too. Doc also volunteers with the Atacosa County Livestock Show and serves as the announcer. He also works with the Texas Brigade Camps (Bob White Camps). Doc is active throughout the community and is always willing to lend a helping hand. Doc is married to Carolyn Matocha Williams and they have one son, Robby. If anyone can survive with an enlarged heart, it’s our 2015 Senior Citizen. This lady, besides having nine children of her own, (Daniel, Anita, Roger, Clint, Warren, Melissa, George, Jean and Elizabeth) made room for a nephew, Daniel age 5 and a niece, Justine age 3. She never backs down from a challenge. Margie Rutherford was hired by Jourdanton Independent School District in 1984. She started out on the serving line in the cafeteria, only to start driving the bus a few months later. From there, she took on more duties – bus driver, copy center and there’s no telling how many thousands of copies she’s made over the years, took up lunch tickets, ticket taker for ballgames, driven kids all over the state of Texas, made fried pies for the FFA Banquet. Marie volunteers for anything that comes along – Susan G. Komen, Relay For Life, chaperoned for CCLA, BPA without being asked. We could certainly use more Margie Rutherfords in the world. It would be a much better place. You can pretty much say this young man has lived in Jourdanton most of his life except for college and three years in Pleasanton. He was born in 1977 at Mercy Hospital. He graduated from Jourdanton High School where he was involved in FFA and football throughout Jr. High and High School. He graduated from Tarleton University with an Ag Science Degree and a Master in Business Administration. He worked as a Vice President at McMullen State Bank in Tilden and Atascosa National Bank in Pleasanton. In 2011 he left banking to work with his mother operating Tendercare Learning Center. In his “spare time” he started a successful business crafting handmade knives. In 2014 he and his wife, Amber, purchased Tendercare Learning Center which has grown to an enrollment of 97 children. Amber and Kendall have three children, Kooper, Kye and Claire. In the fall months Kendall coaches Kooper’s Jourdanton Junior League football team and helps with the Jr. FFA project raising goats. In the spring, Kendall coaches both Kye and Kooper’s baseball teams. He serves on the board of directors for Jourdanton Little League and Jourdanton Junior League Football. In 2013, he was elected to the board of directors for South Texas Regional Hospital. Kendall and Amber attend Cowboy Fellowship Church. Kaitlin Hindes has been a very busy young lady. She was Salutatorian in 2015. She participated in volleyball, tennis and FFA for four years, cross country and track for three years and basketball and UIL for two years. Kaitlin was a representative for the Rotary Youth Leadership Awards, a member of the National Honor Society and named Miss JHS at her senior prom. Her community service activities include volunteering for and attending events at Argent Court. She’s also been a VBS leader for the Jourdanton First United Methodist Church. Kaitlin was Pleasanton Woman’s Club Duchess and has volunteered at the Woman’s Club Thrift Shop. Kaitlin will be attending Texas Lutheran University this fall to continue her education and will also participate in cross country and track. She is the daughter of Tracie and Colby Hindes. Wesley Pesek attended Jourdanton ISD from kindergarten until his graduation as Highest Ranking Boy and GPA of 101.25 and sixth out of 120 seniors. He was a member of the National Honor Society, was a KSAT12 Scholar Athlete of the Week this past April and received the Mirabeau B. Lamar Award of Excellence and was recognized by the Alamo Colleges of San Antonio for outstanding academic achievement. He received the Mark Dornak Athletic Scholarship and was a recipient of the St. Matthew’s Catholic Church Scholarship. He was a member of the JHS varsity baseball team, golf team, basketball team and football team. He also competed in UIL winning many awards. He was also a member of the Student Council. Wesley was an altar server at St. Matthew’s Church as well as volunteering for the soup kitchen, church picnic, VBS, Czech Festival as well as helping at Argent Court and the Community Thrift Store. He will be attending University of Texas at Austin in the fall majoring in Chemistry. He was awarded the Presidential Achievement Scholarship of $25,000 from UT when accepted. He is the son of Karen Pesek and David Pesek. Valley Telephone Cooperative was established in 1952 with the purpose of providing telephone service to rural subscribers deemed unfeasible by the larger companies. The idea began in the 1950s when rural homes received electrical service by cooperatives funded by the Rural Electrification Administration. (REA). Rural residents began to express an interest in receiving telephone service. To increase economic opportunities and improve the quality of life in the rural areas, the REA, currently known as Rural Utilities Service, a division of the U. S. Dept. of Agriculture, created a telephone branch to provide low interest loans to telephone cooperatives so they could provide service. Since then the VTCI has grown to become a leading broadband service provider offering, internet, television entertainment and telephone services. VTCI and subsidiary companies continued to expand. In 2009 VTX1 made the decision to provide service to Jourdanton. They received approval from D.C. in June 2010. They started laying fiber optic in October 2011. The total project was completed in March 2013. Wireless Internet service was added in August 2014. VTC1 has invested over $5 million dollars in our community. They offer voice, video and data. From day one, VTX directors and employees have been friendly, approachable and community spirited. 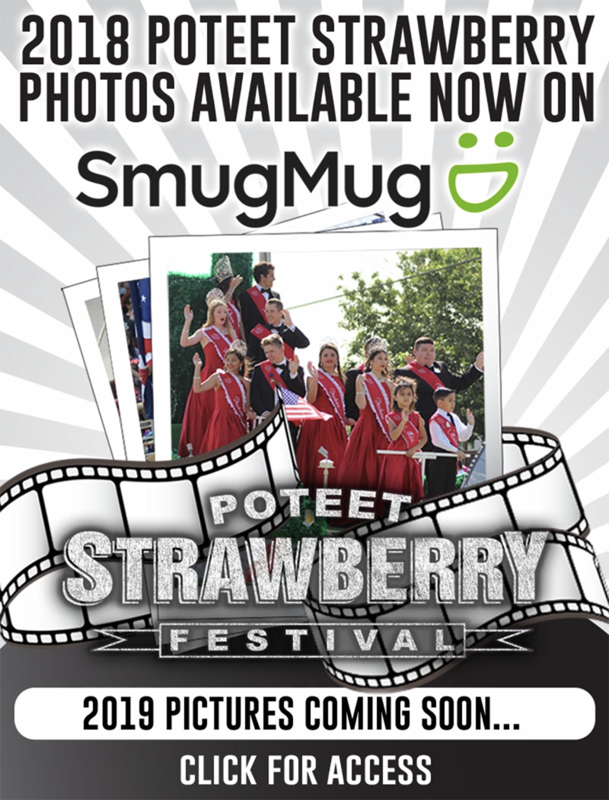 They have donated to various projects and organizations including the Jourdanton Chamber of Commerce, Jourdanton Friends of the Library, American Pride Day and Jourdanton Volunteer Fire Dept. They once again sponsored the Social Hour at the Chamber Banquet this year. Keith Chapman is the principal at Jourdanton High School, a position he has held for 13 years. He is a servant leader. He makes sure to serve and not be served. Teachers are trusted to do what they are asked to do and most live up to his expectations. This trust is why JHS has been so successful. He graduated from Texas Tech and loves the Red Raiders. He taught Social Studies and coached girls and boys in his earlier years. He graduated from high school in Silverton, Colorado and it was there where he met his future wife, Jennifer. She was the little sister of one of his friends. They are the parents of four children – Luke, Chris, Brandy and Kristen. Family and faith are very important to him. He is a deacon in the Jourdanton First Baptist Church. If he is doing something over the weekend it will be with his family or for his church. He is on the pastor search committee now. He is always thinking of others and how he could help them. His mother – recently diagnosed with cancer – lives in Houston. He and his siblings are working through this crisis. Kids at lunch have him sing to others who have a birthday. He makes it very funny and they love it. He really does sing well, but don’t know if the students realize that. He has a great sense of humor and loves to have fun. He will MC many activities or announce at football games. This quite often makes Dr. Collavo nervous. She never knows what he will say. He is loved by the students and faculty because of how he cares for them and does things to make their life at school easier. 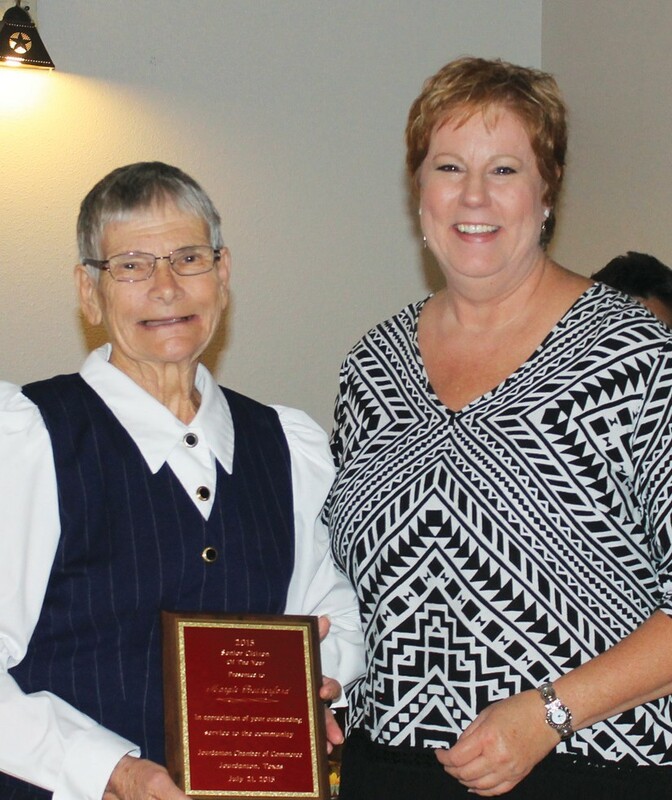 The Jourdanton Garden Club has selected Frances Matocha as the 2015 Gardener of the Year. She has kept her yard in pristine shape through the year, regardless of the weather. She was the unanimous choice from the garden club for this award. Her lot, which is of significant size, is always beautifully maintained with gorgeous lantanas, a peach tree, several pots of pansies and sago palms. Other plants such as roses, a variety of different colored bougainvilleas, amaryllis and a vegetable garden highlight her house. Everyone has seen this lady at one time or another dutifully working long hours in her yard. IF you haven’t seen this eye-catching home, please drive by and see her home at 716 Poplar. It is outstanding. Amy Martinez joined the Jourdanton Volunteer Fire Department February 11, 2014. Since she has joined she has dedicated countless hours of her time to the department and the community. She has gone through numerous hours of training. In December of 2014, Amy was elected by the members of the department to become the department’s secretary. She accepted and has performed these duties and the duties of a firefighter in an outstanding manner. Amy has now been in the department for over a year and in May of 2015 completed her Jaws of Life training. She is a hard working lady. She puts anybody and anything before herself. She cares about her community and the safety of others. A little over 21 years ago, Jourdanton had a man that owned a business in our community. He was an active member of the Chamber of Commerce, Jourdanton Rotary Club, Jourdanton Volunteer Fire Department and served on the Economic Development Board. He loved to hunt and fish in his spare time and he supported his boys in their endeavors. On the day after Thanksgiving in 1993, a life changing event occurred. A major stroke changed a lot of things! Sandy Steinle could no longer use his right side. He was able to read very little, numbers were like foreign figures and speaking was quite a challenge. He really couldn’t fight fires anymore, but David Prasifka has made sure he stays informed about what’s going on in the Fire Department. Sandy gave up his position with Economic Development, but he has continued to be a member of Rotary and Chamber. His roles are somewhat different than before. The things he can no longer do, he is quite certain that his wife Joyce can handle. She is now a member of Rotary and Chamber and he thinks she should volunteer for EVERYTHING!. He always has compliments for the projects undertaken and usually gets lots smiles out of other members. Sandy is very proud of his sons Kevin and Todd and their wives Carrie and Nina. He worships his four grandchildren. The daughters in-law and grandkids never knew Sandy as a man who could walk, talk fluently, fight fires and add numbers on a calculator while he talked on the phone. They know him as Papa and they know he is pretty special in their family. Since Sandy’s stroke, he has had numerous medical disasters, but he just keeps going. He continues to love life, and he loves Jourdanton. Joyce is quick to admit that moving back to Jourdanton was one of their wisest decisions and lists it high up on the Blessings List. Sandy and Joyce grew up in Jourdanton, as did their parents and grandparents. Now Kevin is the fourth generation to live here and Curtis and Clayton are the fifth generation and hopes are that it continues. The Jourdanton Chamber of Commerce officers for 2015-16 are President, Jack Harrison, Vice President Susan Netardus, Secretary, Joyce Steinle and Treasurer Annie DeLaO. Directors are Jane Andrus, Jim Andrus, Marcella Dornak Jeanette Harrison, Michele Higginbotham, Rhonda Lem, Dorothy Manning, Henry Netardus, Lois Newman, Larry Pryor, Marty Pryor, Karen Rakowitz, Bill Schuchman and Sandy Steinle. Lew Brownfield. 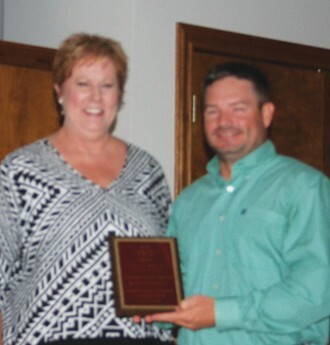 Chief Operating Officer of VTX1, receives the award for Jourdanton Chamber’s Business of the Year from Susan Netardus. Susan Netardus presents the Young Citizen of the Year to Kendall Schorsch at the Jourdanton Chamber Awards banquet. 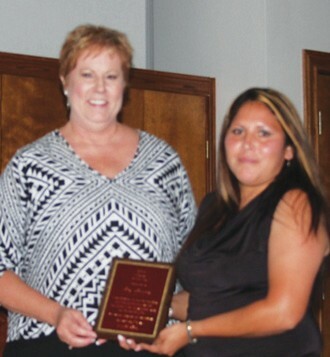 Amy Martinez was awarded the Firefighter of the Year at the Jourdanton Chamber banquet. Vice President Susan Netardus made the presentation. 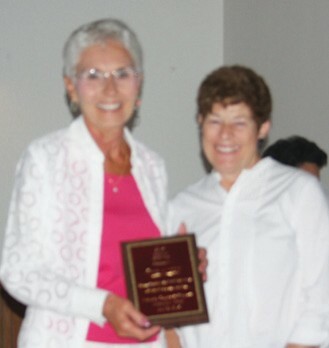 The Senior Citizen Award was given to Margie Rutherford by Susan Netardus at the Jourdaton Chamber banquet last Tuesday. 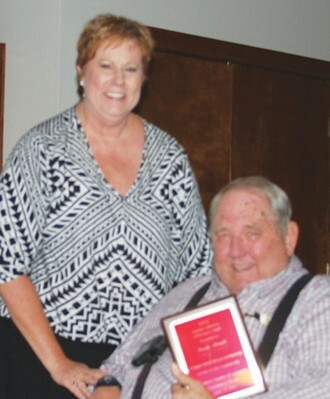 Sandy Steinle receives his Lifetime Achievement Award from Susan Netardus at the Jourdanton Chamber banquet. 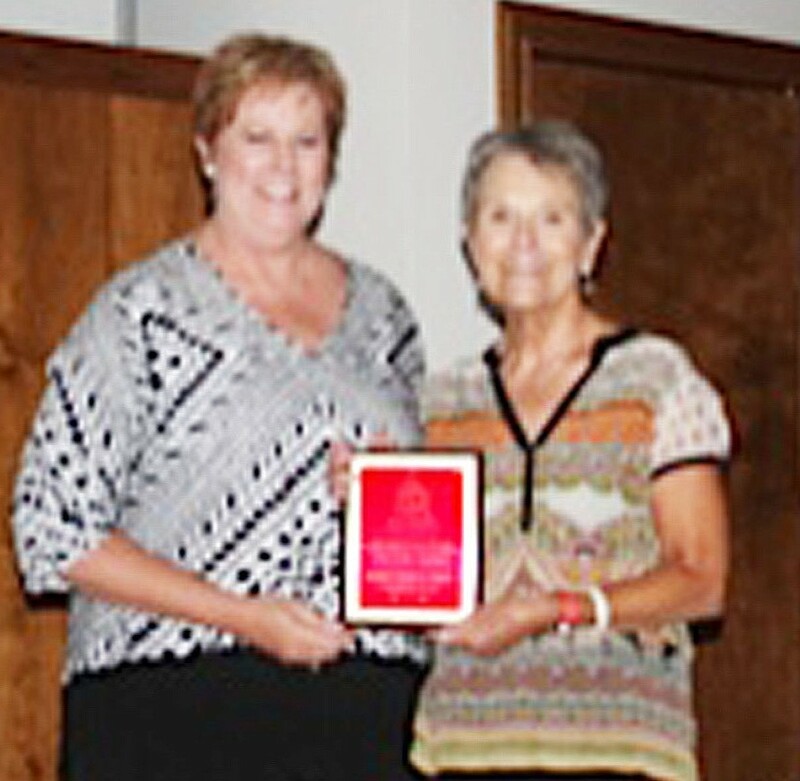 Jane Andrus receives her Woman of the Year award from Susan Netardus at the Jourdanton Chamber of Commerce banquet held last Tuesday. 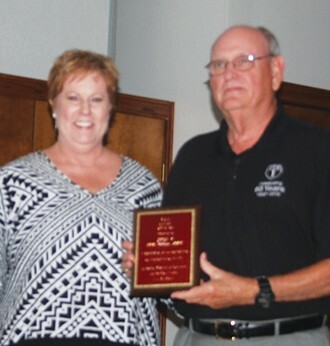 Robert “Doc” Williams was named Jourdanton Chamber’s Man of the Year at the annual banquet. Susan Netardus made the presentation.